Save time, money and stress with FBF's print and design services. If you have a problem finding good reliable printers, then let FBF print and design services take the stress away for you. 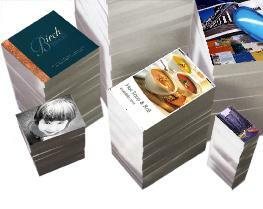 FBF print services aim to deliver total customer satisfaction. No matter how large or small your company, FBF print and design services offer a personal approach with consistent results. FBF will make sure your jobs are produced using the most suitable printing method to deliver high quality at the right price every time. Meanwhile, you are free to focus on your company's core activities, knowing your branding will be carefully maintained across all your printed and promotional material. Call 01293 432175 today and speak to someone in person about our Print and Design Management services. FBF is based in the South East in Horley on the Surrey/Sussex border close to Crawley and Gatwick airport. FBF Print & Design Management is based in Horley, Surrey close to Gatwick in East Sussex.